I can't wait to receive my cricut cartridge. It was suppose to be here this past Friday, but it was stolen and had to get a replacement sent out. I should get it this Friday. I can not wait to play with it. Artfully Sent is the forth installment in the CTMH Cricut family. It is geared towards the card markers, but there is something for everyone. My upline was generous enough to share the handbooks with us and I am sharing with you. You can get your copy of the Artfully Sent cartridge from my store. 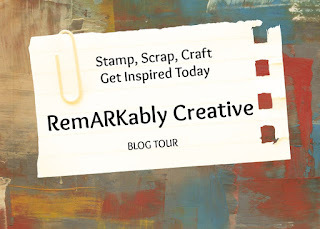 I will be sharing ideas of how you can step your cards with the cartridge. Please stay tune. With a minimum qualifying purchase, get your D-size Stamp of the Month set for a discounted price! Add the stamp set to your cart on this page at full retail price or, with your qualifying order, add it at checkout for the promotional price. Stamp image outlined in red coordinates with the Cricut® Artiste Cartridge (Z1790). Celebrate National Stamping Month and Jeanette Lynton’s #30yearsofhappy in the stamping and scrapbooking industry! September is National Stamping Month, and Close To My Heart is ready to celebrate all month long! When you spend $30 on any current retail-priced stamps during the month of September, you qualify to receive the exclusive C-sized stamp set #30yearsofhappy for FREE! This special offer is part of our celebration of National Stamping Month and in honor of our on-going celebration of our founder and CEO Jeanette Lynton’s 30-year anniversary in the scrapbooking and stamping industry. The exclusive stamp set features 30 mini images and sentiments perfectly suited for 30 days of happy stamping! Plus, make sure you check out Close To My Heart’s Facebook page and Instagram during September to follow all the ways we’re celebrating #30yearsofhappy for a full 30 days! *Offer valid September 1–30, 2014. No tax will be charged on the free item(s). Shipping/handling is calculated based on the full retail price of the free item(s) ($13.95 USD / $15.25 CAD).